Chinese economists and foreign research institutions predict a positive Chinese economy, thanks to the country's stable operation of the supply side, improved domestic demand and supply relationship, and optimized economic structure, despite of the increasing uncertainties of home and abroad economic environment, people.com.cn reported. From physical quantity indexes such as power consumption and traffic volume, the whole society's power consumption in May rose 11.4 percent, with a growth increase of 6.4 percentage points year-on-year. Among them, secondary industry electricity consumption witnessed a growth of 7.7 percent on a yearly basis, accounting for 55.6 percent of electricity consumption in the whole society. In the first five months of this year, China's railway goods delivery increased by 6.9 percent year-on-year. "A series of indicators, such physical quantity indexes, have continued to improve, releasing positive signals of the stabilization of the real economy and the continued progress of structural transformation,” said Niu Li, an economist with the State Information Center of the National Development and Reform Commission. From the perspective of corporate profits and other performance indicators, from January to April this year, the total profit of industrial enterprises above the national scale reached 2127.17 billion yuan ($329.98 billion), an increase of 15 percent over the previous year and an increase of 3.4 percentage points over the period from January to march. "Industrial companies are doing well and are more confident about future investment," Niu said. According to leading indicators such as the purchasing managers' index (PMI), the manufacturing PMI was 51.9 percent in May, up from 0.5 and 0.7 percentage points last month and a year earlier and the highest since October 2017. "The accelerated pace of expansion in the manufacturing sector indicates that China's economy is gaining momentum," the economist said. "Confidence among entrepreneurs has improved and expectations for the Chinese economy remain stable and positive," said Zhang Yongjun, a researcher at the China Center for International Economic Exchanges in Beijing. According to the entrepreneurs questionnaire survey of Q2, 2018 released by the People's Bank of China, entrepreneurs macroeconomic heat index was 40.1 percent, 1.2 percentage point higher than that of last quarter, with an year-on-year increase of 6.1 percent. The Entrepreneur Expectation Index was 75.8 percent, up 1.6 percentage point from the previous quarter and 10.4 percentage point from a year earlier. According to the China's consumer confidence report of Q1, 2018 released by Nielsen, a global monitoring and data analysis firm, China's consumer confidence index set a record for the past 10 years, up to 115 points, with 1 point increase compared with the previous quarter. "At present, the consumer market is basically stable, and the momentum of consumption upgrading continues unabated. Online retail continues to lead growth. Sales of communications equipment, oil and products have all increased rapidly. As the national economy continues to stabilize and improve, a series of policy effects, such as increasing effective supply, reducing taxes and fees, are gradually emerging. It is expected that the consumer market will continue to grow steadily in the later period,” Niu added. China's market entities have surpassed 100 million units in mid-March this year, including over 31 million enterprises. "The increasing number of market entities indicates that China's market vitality is increasing. The supply-side structural reform in the past two years has achieved substantial progress. The government's administrative reform and transform government functions, especially some measures to reduce cost and improve the business environment had positive progress," Niu said. Economic indicators of some foreign research institutions also indicate a better economic performance of China. According to the China's leading composite index released by the United States conference Board, China's economy has continued to rise with strength, said Zhang Yongjun. 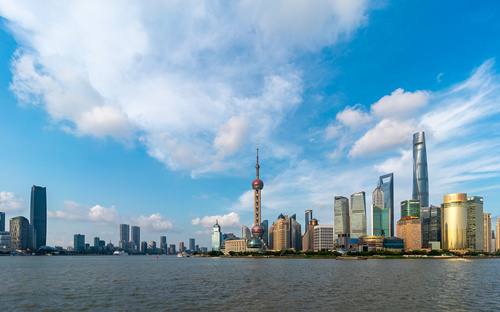 The World Economic Outlook Report released by the IMF previously also continue to favor China's economic growth with the same expected value in January, with no cut of China's economic growth prediction in 2018 and 2019.